"Sequencher" is not optimized for your Mac"
The root of this problem is that Sequencher 5.4.6 (the latest version for the Mac) is a 32-bit application and is particularly reliant on an ancient "Carbon" OS 9-compatibility framework that Apple has been telling developers for many years will be phased out in the near future. It appears that day is finally arriving and this warning dialog is the first indication that Apple will shortly make good on that promise. It is highly likely that Sequencher will be unable to run on one of the macOS releases in the next year or so. MacVector with Assembler has been fully 64-bit for many years (since MacVector 13) and has no dependency on the "Carbon" framework. 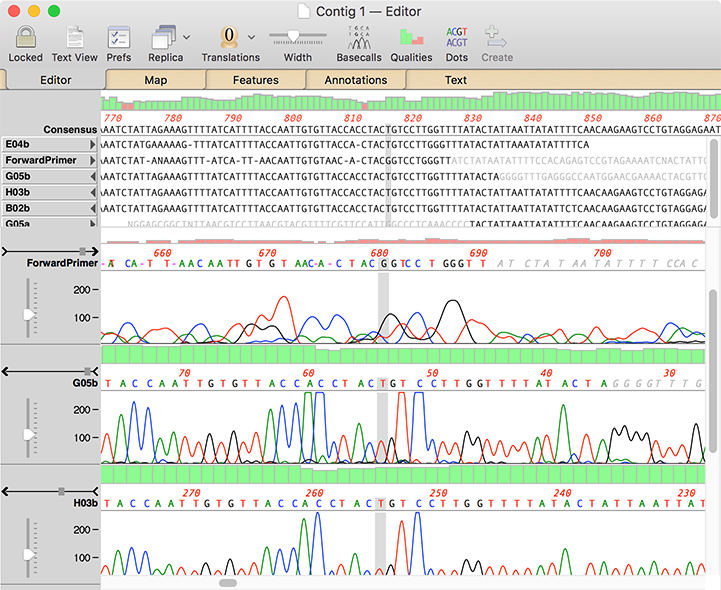 It provides almost all of the functionality of Sequencher within an updated modern interface, along with a host of additional functionality and integration with all of the DNA analysis tools within the core MacVector application. For a limited time, we are offering a 50% discount to all Sequencher users who wish to upgrade to MacVector with Assembler. There are more details here. Like Sequencher, MacVector with Assembler provides a simple Project-oriented interface where you can import and drag and drop files for Assembly. 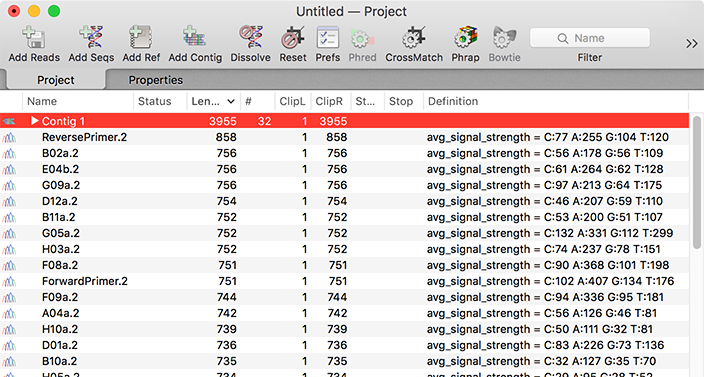 Unlike Sequencher, MacVector lets you have multiple projects open at one time. MacVector displays the information in two panes in a single window, along with (optionally) quality information. Unlike Sequencher, trimmed bases are not deleted, but are simply shown greyed out. 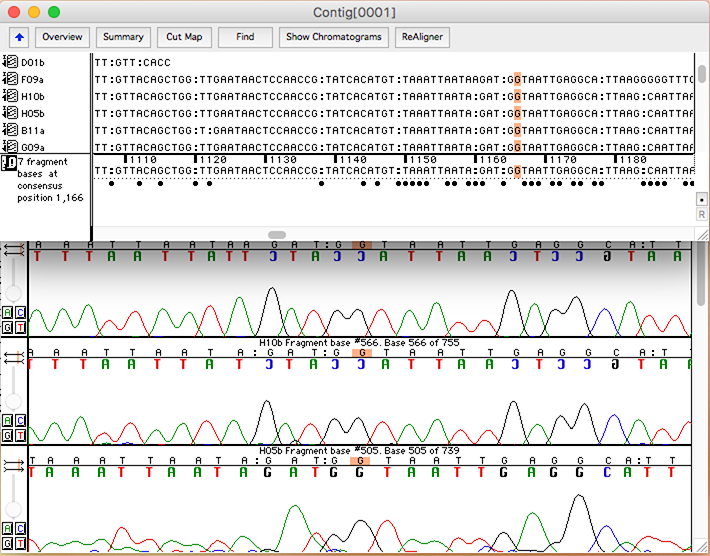 A unique "Dots" mode (not shown) replaces residues that match the consensus with a dot so that your eyes are immediately drawn to SNPs and other mismatches.